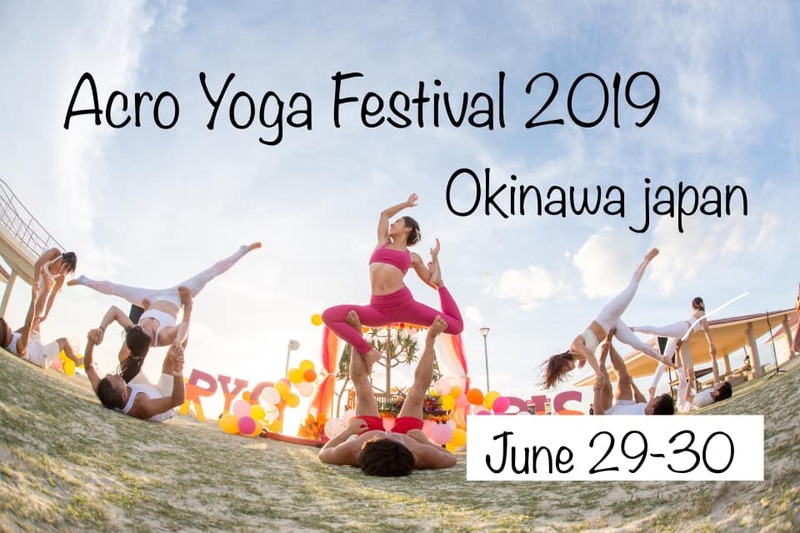 Join us for Japan’s first International AcroYoga Festival on the tropical island of Okinawa, June 29-30!! All classes offered in English and Japanese for every level, from beginner to advanced, with an international all-star cast of teachers! Post-festival intensive offered by Jessalyn Leean Oxford and Glen Acro Saunders, July 1-2!! EARLYBIRD PRICING AVAILABLE UNTIL APRIL 15!! *Festival entry includes all classes. Food and lodging not included. Food venders are available on site. Affordable lodging is available nearby. Beach Party and Post-Fest Intensive tickets also available!